Coconut Miracle your trusted brand since 2010 now offers you premium raw extra virgin coconut goodness in a 1000ml glass jar. Great Quality at an unbelievable price! Soil Association Certified Organic. Manufactured in a ISO 2200 factory holding with GSP Status. 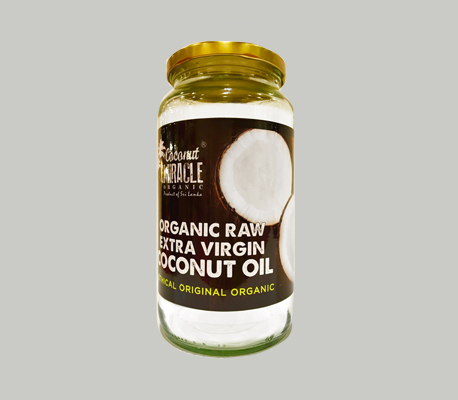 Boasting of 51% Lauric Acid and other medium chain fatty acids which are essential for healthy living our extra virgin coconut oil has a great taste and is mild enough to use in all your cooking & baking. Excellent as a body moisturizer, make up remover, hair enhancer/conditioner & for oil pulling.